Are you starting a cleaning business? 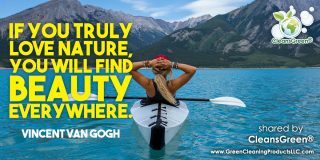 Or do you want to convert your existing business into a green cleaning business? 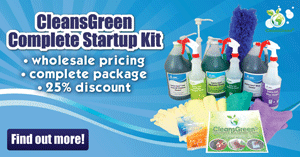 The CleansGreen® Startup Kit is a wholesale product set to start up a green cleaning business in one package … and now available. As Vincent Van Gogh pointed out, “If you truly love nature, you will find beauty everywhere.” So that we can appreciate all that is around us, is why having an eco-friendly cleaning business is so important. 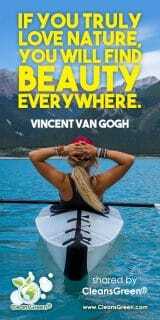 There is no better way to get started than to have all you need included in a single package that will include all you need to respond to your first job. 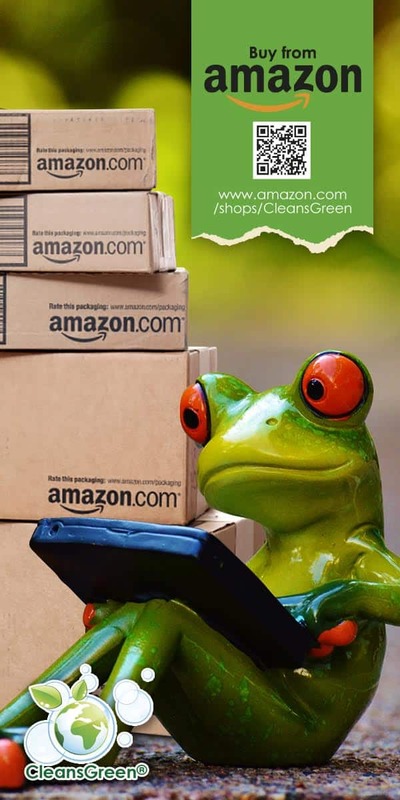 This is a collection of green cleaners, as well as the tools needed to ensure a safe green clean (that is one that is non-toxic, hypoallergenic, and environmentally friendly). All of these cleaners hold multiple third party certifications enabling you to confidently know (and market) that you are using only eco-friendly and safe cleaners. 3 color matching, large, resusable microfiber cloths that are of highest quality available microfiber at a luxurious 320 grams per square inch. At 16” x 16” size, the large size cloth will easily give you 8 CLEAN sides to use in cleaning. 1 EnviroPak of EnviroCare Tough Job Degreaser Cleaner with concentrate sufficient for one quart of ready-to-use cleaner. 1 EnviroPak of EnviroCare Neutral Disinfectant with concentrate sufficient for one quart of ready-to-use cleaner. 5 pairs for disposable and reusable stretch vinyl gloves. 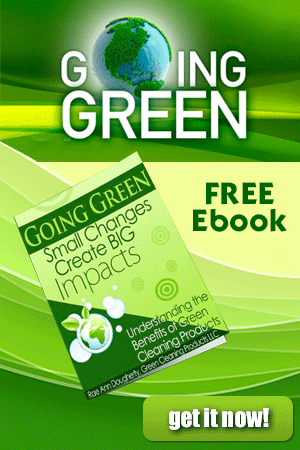 3 printed books written by the founder of Green Cleaning Products LLC related to green cleaning enabling you to become knowledgeable and get started immediately. 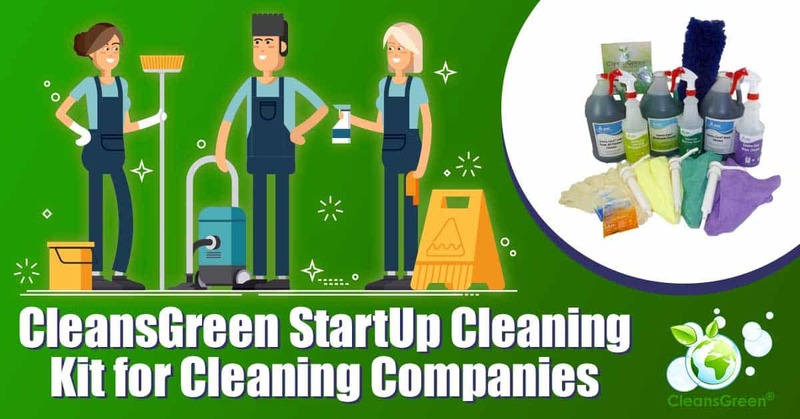 5 Product Info Sheets, 5 SDS, loads of instructions, and more information designed to get you started immediately, as well as provide you with knowledge sufficient to market your green cleaning business. All of this for under $350! 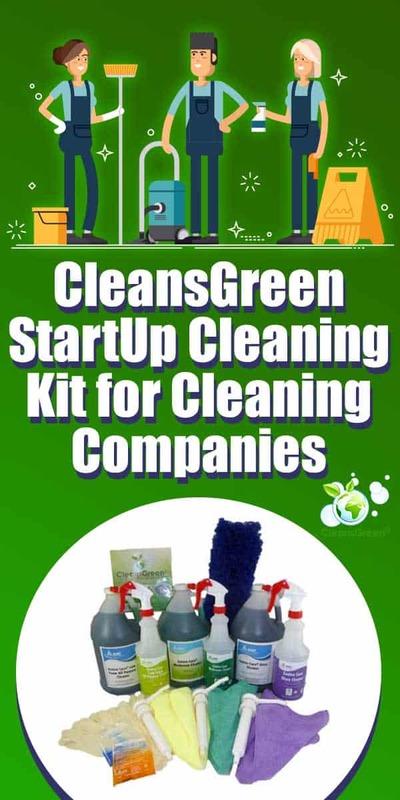 In short the CleansGreen® Green Cleaning Startup Kit is complete, full, inclusive kit provides you what you need for a wide range of tasks.